We are the leading manufacturer & exporter of abrasive for stones. With a main aim to accomplish high level of patron trust, we have been engrossed in providing a vast assortment of Silicon Abrasives. Being the well-distinguished companies in the market, we are into offering Polishing Abrasive Stone. It is a natural mineral with natural hardness. 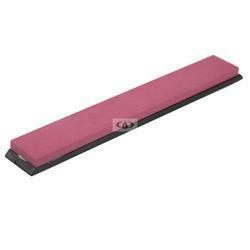 Used for cutting and polishing. Being a well-distinguished company in the market, we are engaged in offering Full Lappato Abrasive. For ultra fine Polishing of precious metals & porcelain. - Size: 7/8 x 1/8" & 5/8" x 1/16"
The high capacity abrasive whitener offers unmatched efficiency of milling with regard to power savings. Its low milling pressure helps in the maximization of head rice yield, and its ability to function efficiency on both low and hard milling applications makes it an ideal "first break" milling machine. 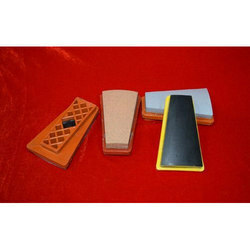 we are offering to our clients a wide range of Polishing Abrasives. After checking on some quality stages, it is delivered to the clients’ end. Our Mold Polishing Stone Kits offer the same sizes and grits for each polishing stone type: 1/8 x 1/2 x 6 and in 150, 220, 320, 400 and 600 grit. The only exception is that the Golden Star has an 800 instead of 600 grit. We are engaged in supplying a material. This can also be addressed as a material that is used to shape or finish a work piece through rubbing. The rubbing results in part of the work piece being worn away. Besides providing smooth & reflective surface, these also impart satin matte or beaded finishes through roughening.